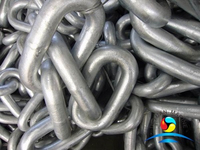 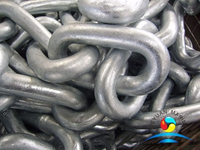 We know there are two types of anchor chain in common use in the marine industry .The one is Studlink chain. 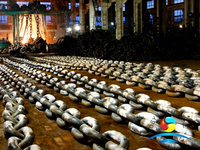 It is the most popular and used in the shipping and oil industries.The other one is Studless Link Offshore Mooring Chain .The Studless Mooring Anchor Chain has no studs and general used in special mooring applications such as permanent moorings for FPSOs. 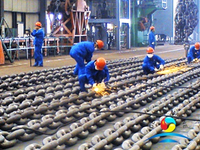 Typically. 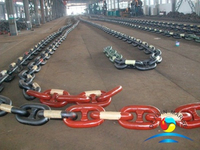 The open link chain is used for marine moorings. 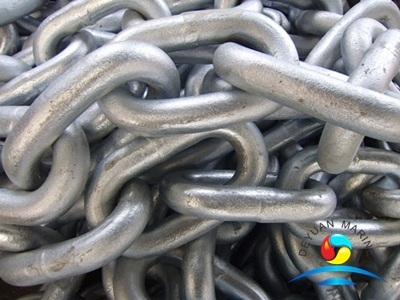 Marine Offshore Mooring Studless Chains are for permanent moorings where the chain will not go over a gypsy. 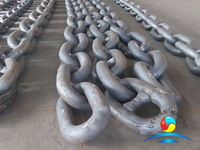 The advantages of Marine Studless Mooring Anchor Chain include less weight, ability to fit larger shackles without endlinks, and the avoidance of loose stud problems. 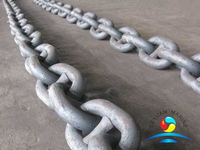 ABS Certificate Studless Mooring Anchor Chain can produce the same performance as a stud chain according to the static strength and can save the weight. 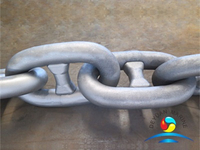 Use the Cast Steel Studless Anchor Chain in deepwater applications, there is a potential reduction in weight, and consequent cost saving.Alternatively, the weight can be kept constant and fatigue strength correspondingly increased by opting for a larger diameter. 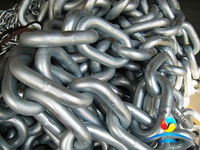 This option of Cast Steel Marine Studless Anchor Chain also gives a greater margin of safety against the incidence of corrosion. 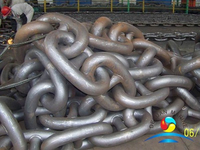 Below is the data sheet of Cast Steel Marine Studless Mooring Anchor Chain.If you have any other requirement of the Cast Steel Studless Mooring Anchor Chain please contact us . 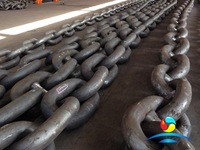 More studless mooring anchor chain can be offered,pls contact us for more details.